Here's the international trailer for Francis Ford Coppola's vampire flick TWIXT. 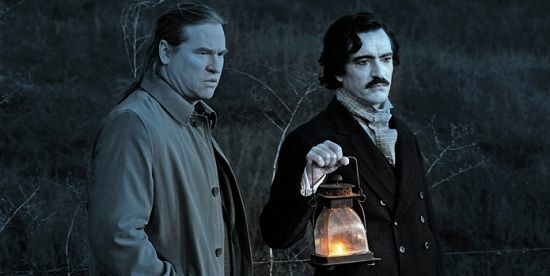 The film is inspired by Edgar Allen Poe and "tells the tale of a burnt-out mystery writer who gets mixed up in murder and evil in a California town.". The film stars Val Kilmer, Bruce Dern, Elle Fanning, David Paymer and Ben Chaplin. The movie has gotten lots of bad reviews even though the trailer looks pretty good.